up to 5 Gaussian distribution components from the analyzed or processed distributions can be determined by our unique program SHAPE™. A chi-square goodness of fit will be computed with each determination. speed - depends on the particle sizes in your samples: you may obtain 150 or more analyses within 10 days. Having the measured PSI-sedimentation velocity distribution defined mathematically by the parameters of a mixture of up to 5 Gaussian components, our SHAPE™ can match the PSI-values of the distribution to the PHI-values of similarly defined precise sieve grain size distribution: the identical distribution values each identify the values of the PSI-PHI couples. From these couples at 0.02 PSI steps, the SHAPE ™computes to each PSI-PHI couple the pertinent SF'-value. The resulting SF' table can then used by our GRM™ software to analyze the samples of a similar material (with a similar SF'-PSI-PHI relationship) as precision sieving would. A sedimentological interpretation of the SF' distribution should be taken with a great care because it includes both the sieving and MacroGranometer's errors. Our analyses have been successfully used for unique applications (click). storing of unused sub-samples for repeat analyses one year. clean, in appropriately small portions, and weighed. organic matter - remove it by boiling in hydrogen peroxide. Samples in small portions mean that the quantity of your samples should allow us to split them just into about four to ten representative sub-samples. *) Samples with this minimum particle size may be also "poorly sorted": their size is larger - see below. Poorly sorted sands (containing both fine and course particles) should be sent in about two to three times larger sample weights. weighed (in grams to two decimal digits) and well identified. Use clearly printed numbers on each bag or sample jar. *) DVar = the required distribution variable such as PSIstandard, PSIlocal, PHI, etc.. Sample Names 1, 2, and Sample Number are optional. We can include your descriptions (geographic location, borehole identification, depth, core number etc.) of up to 15 characters each. They will appear in the protocol of each analysis. Sample weight (to 2 decimal digits of gram). After a brief microscopic evaluation, we'll determine the number of subsamples we will produce from your original sample for our analysis, possible repeats, and documentation (we store the unused subsamples 1 year). 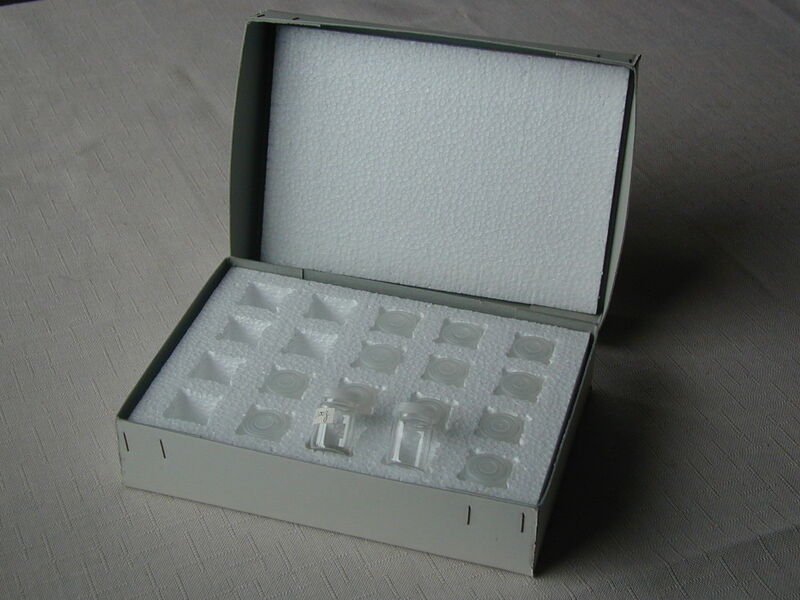 Grain density is usually 2.65 (to 2.70) g/cm3 for quartz and calcite grains. Shape Factor (defined by A. T. Corey, 1949, and independently by McNown & Malaika, 1950) is usually 0.65. Theoretically, SF of spheres is 1.0. However, sedimentation velocity of smooth spheres provides the values of SF' = 1.18, whereas the SF value of 1.0 corresponds to rough spheres and other isometric particles, including cube. We recommend to use the SF value 0.65 valid for the most common naturally worn sand particles as a standard instead of the shape of spheres (whether smooth or rough). Of course, we can compute the results to any grain shape, upon wish. To convert our EURO prices into your currency, click here. we will perform the analyses for you, and, if you wish, you may apply 50% of the cost of our service up to one year as a down payment toward purchase of your MacroGranometer. Click here to determine your qualification for this option. Enjoy a higher quantity discount: increase the number of analyses by combining orders with other co-operating institutions. Enjoy our student discount: contact us for details. Please email your wishes to GranoMetry.